Contemporary 4x6 picture frame exposes the entire photo to full view. Brown masonite back and sturdy silver clips hold back and glass together. This contemporary clip picture frames expose your entire photo to full view. Includes brown masonite backing and sturdy silver clips to hold the back and glass together. 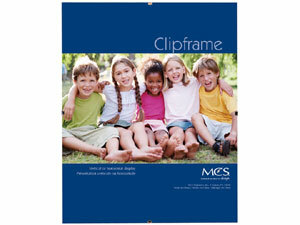 Frames can be hung on the wall either vertically or horizontally using the attached clips.